Abraham Lincoln grew up in a small cabin on a farm in Kentucky. He did not have a formal education, he was mostly a self-taught student. His family’s income was dependent on Abe and his father, who constructed their one-room cabin. In 1818, Lincoln’s mother, Nancy, died from a rare disease that developed from eating beef that had been contaminated by rotten food consumed by the cow. 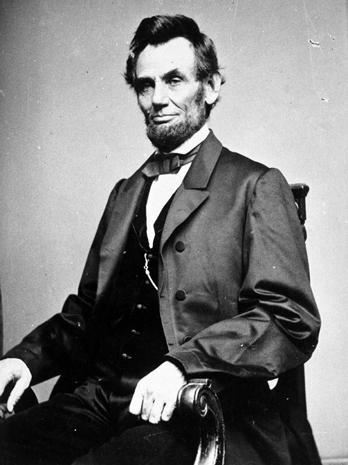 One year later, his father remarried a woman who was known to Lincoln as “mother”. Sarah Bush Lincoln was very kind and warm; shaping Abraham Lincoln into the man who led with attention and care. 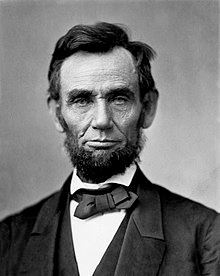 Abraham Lincoln, a member of the National Union Party, developed a united country by utilizing his ambition, strong moral compass with empathy and willingness to collaborate. Abraham Lincoln“Abraham Lincoln.” Wikipedia, Wikimedia Foundation, 7 Jan. 2018, en.wikipedia.org/wiki/Abraham_Lincoln.Ambition drove Abraham Lincoln from becoming a self-taught lawyer to becoming one of the most influential presidents of the United States. In his early life, passion drove him to learn new things. Coming from a poor household, his family could not afford schooling for longer than a short period, so he fed this desire to learn by reading. This lead him to being a self-taught lawyer; drawn to the career to protect and serve his community. After years of practicing law, he decided to run for the United States Senate in the 1858 election, one of his promises was end discrimination against all people. This was very controversial at the time; wanting to be honest, he continued highlighting his devotion to equality. With the United States not ready for these drastic changes, Lincoln lost the seat on the Senate. Two years later, he began his campaign for the presidency, voters remembered his policies on slavery; this made him unpopular with slave owners. Superiority is what divided the country in the first place. Lincoln wanted to unite the country; standing strong with his promises that he fought so hard to make a reality. After he won the election, he worked to pass the law that outlawed slavery in the United States; in 1861, the law was passed. Lincoln would not have been able to abolish slavery without a strong moral compass and empathy. In his campaign, he focused on human rights and changing the treatment of others. “I have always thought that all men should be free; but if any should be slaves, it should be first those who desire it for themselves, and secondly, those who desire it for others.” Knowing people would be opposed to his view on the subject, he felt determined to change the way that people looked at slavery. He wanted people to understand the hardships that slaves have to endure, conveying these tragedies through speech. This is the only way Lincoln knew how to convince people to support his campaign. Some of his most famous speeches are the Emancipation Proclamation and the Gettysburg Address. These speeches were heavily influenced by the abolishment of poor treatment towards any human being. “And by virtue of the power, and for the purpose aforesaid, I do order and declare that all persons held as slaves within said designated States, and parts of States, are, and henceforward shall be free;” This speech was the epitome of controversy; freeing African-Americans from slavery. Abraham LincolnNews, CBS. “Iconic Abraham Lincoln Portraits.” CBS News, CBS Interactive, 12 Feb. 2016, www.cbsnews.com/pictures/iconic-abraham-lincoln-portraits/.With citizens outraged about the Emancipation Proclamation, Lincoln hired people with different perspectives to be on his cabinet. Lincoln knew that collaboration was going to help unite the country after the divide of south and north. He was known to diffuse tense situations with humor and optimism. Adding opposing politicians to his cabinet helped show others viewpoint in what was best for the country. These politicians would make sure that he will not exploit or take advantage of anybody. Using his judgement and the skills of generals to decide whether or not to hire them; he did not pay attention to their political party. He wanted to have the most skilled and strong people working for him and helping him change America. Lincoln was not opposed to being wrong, he did not want his own insecurities to stand in the way of change. Encouraging people to speak their voice, Lincoln was often criticized and disrespected, he dealt with these obstacles with a level head and thick skin. Lincoln’s willingness to collaborate supported his goal of equality and freedom. Ambition, empathy, and willingness to collaborate are attributes that we need in society today. It helped Lincoln abolish slavery and pave the way to a unified nation. In the twenty-first century, people are often closed minded when it comes to political opinions, take Abraham Lincoln as a role model. He hired politicians from the opposite party to join his cabinet because they were skilled in their craft. Lincoln knew that if we unite, then we can achieve more together. This collaboration can help the government of, not only America but, other countries as well. Empathy is a characteristic often overlooked, Lincoln showed that with the combination of empathy and ambition, you can achieve great things. Freidel , Frank, and Hugh Sidey. “Abraham Lincoln.” The White House, 2006, www.whitehouse.gov/1600/presidents/abrahamlincoln. Pettinger, Tejvan. “Abraham Lincoln Biography .” Biography Online, 11 Feb. 2013, www.biographyonline.net/politicians/american/abraham-lincon.html. "The Lighter Side of Lincoln" - From the Library of Congress, for kids: Lincoln had a sense of humor!